Not My Job: Poet Billy Collins Takes A Quiz About Phil Collins We've invited Billy Collins — who served as U.S. poet laureate from 2001 to 2003 — to play a game called, "I can feel it coming in the air tonight." Three questions about another poetic Collins. We've invited Billy Collins — who served as U.S. poet laureate from 2001 to 2003 — to play a game called, "I can feel it coming in the air tonight." Three questions about musician Phil Collins. And now the game where we ask somebody who has accomplished a lot to try his hand at accomplishing one more thing. It's called Not My Job. Billy Collins is the most acclaimed poet in America today. He was the country's Poet Laureate from 2001 to 2003. Now, we could try to describe what his poetry is like aesthetically, but this is 21st century America. So let's just say that poetry is like song lyrics except they don't rhyme, and you talk them. Billy Collins, welcome to WAIT WAIT...DON'T TELL ME! BILLY COLLINS: It's great to be here, thank you. That's not a bad description. SAGAL: I think so. The first thing I have to ask is: Did you find that a folksy, friendly name like Billy Collins was an obstacle to you in your poetry career? COLLINS: No, well, I actually adopted that name because there is a Romantic poet, English Romantic poet, whose name is William Collins. COLLINS: So actually, I'll just tell you - your audience can't listen to this on the radio - but when I was in college, I thought you needed to have a very literary name. So I called myself W. James Collins. SAGAL: See, that's what I would expect. COLLINS: Yeah, but then I downshifted to Billy because there is a William, and also I just got more relaxed with my poetry. So I didn't - William sounds like the name of a king to me. TOM BODETT: That's the same reason I went with Tom Bodett. COLLINS: Well, I can't tell you what I'm wearing right now because we're on the phone but no, I try to keep - I try to be inconspicuous. I really have a distaste for poets who announce themselves at 50 yards; you know, here he comes, you know, with the beret and the cane and the cape and the whatever - whatever mishegas is part of the outfit there. COLLINS: But you can spot them from a mile away. It's just like a billboard: I'm a poet, I'm flashing. No, I try to fit in. I try to make the poems eccentric; I don't want to look eccentric. SAGAL: Now here's the thing. I actually made a little joke about this, but it's true - which is that poetry, per se, has fallen out of favor. Nobody wants to read poetry. Everybody's bored by poetry. But everybody loves music, popular music, which almost always has lyrics, which are almost always a form of poetry - right? COLLINS: Well, music is public, though. I mean, you put it on, many people can listen to it at the same time, whereas poetry is usually - usually, the intake of poetry is solitary and private; it's you sitting in a room with a book open. But, you know, the real test is to read lyrics without music. You know, if you got everybody off the stage; like, all the musicians and the three girls in the back, in the satin dresses - they have to get off the stage, too - and you just have to get up there with a piece of paper and then read your lyrics, they're not going to hold up, most of them. SAGAL: Well dude, I think you're going the wrong way. You don't want to take that away from them. You want to get that for yourself. SAGAL: You need some backup singers, a guitar. COLLINS: Oh, I need - OK, I need the girls in the sequined dresses, OK.
COLLINS: Now I know what's missing in my act. SAGAL: Exactly. That's my point. BODETT: Billy, this is Tom, and I've seen your act. In fact, I own four books of poetry. Walt Whitman is one, and the other three are yours. BODETT: And I'm a bit of a fanboy here, but I just want to say that what you do with poetry is rarely done, is you - almost all of your poems have a punchline of some kind. And I've got to believe that that makes poetry so much more approachable for people. COLLINS: Thank you, I'm smiling now. You can't see me, but I'm smiling. SAGAL: Well, your poems, they do tend to be, they tend to be about things you've done or seen. They're accessible. COLLINS: Yeah, they usually start out very straightforwardly and plainly. I think it's good not to make demands on the reader too early. But as the poem goes on, I want the journey of the poem to lead into some interesting places. I sort of like the idea of Dorothy; you know, that the poem begins in Kansas, and maybe ends in Oz. But I want - a lot of poems start in Oz, and I think that's - that puts people off. You don't want the flying monkeys in the first line. PAULA POUNDSTONE: When did you first decide that you wanted to be a poet? COLLINS: Well, it was - I didn't really, it wasn't a single decision. It was just really following a compulsion to write poems - which started as a child, really. But we all write poems as a child. COLLINS: We love, you know, children love the ingredients of poetry. And then they go into this tunnel that we call adolescence, and when they come out of it, they hate poetry. 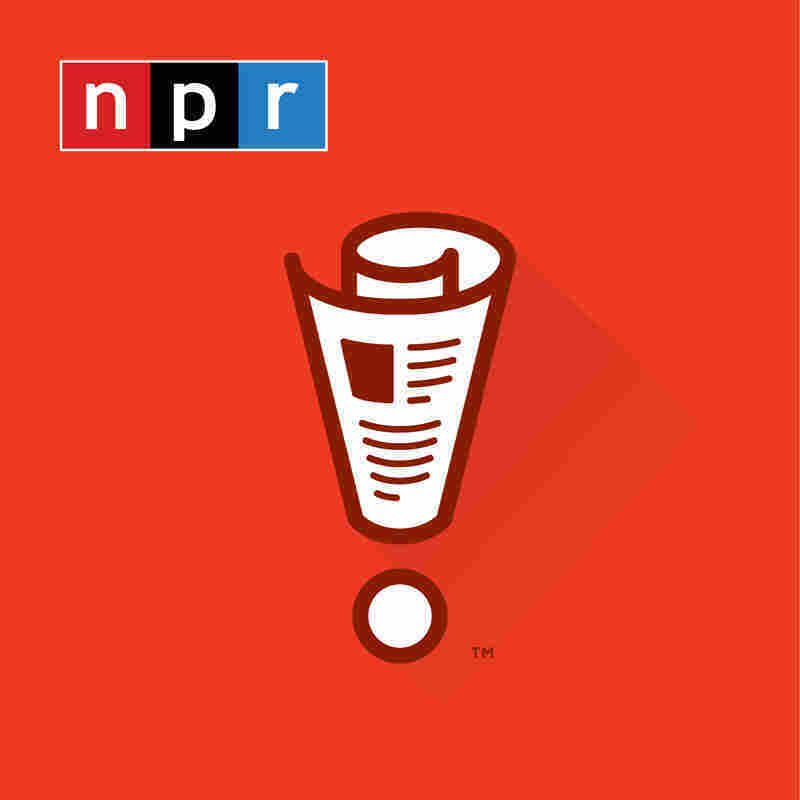 SAGAL: Well, when I was an adolescent, and I'm sure this is true of - let's see, this is NPR - 98 percent of our audience, I wrote very sad, melancholy, self-indulgent poetry. SAGAL: Right, well I wanted to ask, I mean, was your - since you are now a successful and award-winning poet - do you feel that your self-indulgent, adolescent poetry was better than average? COLLINS: Well, we all have - we're all born with 200 bad poems in us. COLLINS: This is statistically proven. And so - and middle school and high school is a good time to get rid of those. And - but I wrote this - I believe, because this is what I was reading, I believed that poetry was two things. It was hard to understand, but one thing you could understand is the poet was miserable. COLLINS: So I pretended to be miserable, and it's very easy to write poems that are hard to understand. So I was a pretty happy kid, but I put on misery because I thought that was the way to play the game. COLLINS: I had a great childhood. I was an only child. So I had the whole backseat of my parents' car to myself, for one thing. COLLINS: And finally, I read poets who were not so miserable, in fact humorous; and they gave me permission to release what I was repressing, which was this sense of humor I inherited from my father. FAITH SALIE: Have you ever recited your poetry to get lucky with somebody? COLLINS: It didn't work with me. It didn't work out. Yeah, it's not whispering in somebody's ear, no. CARL KASELL: I Can Feel It Coming In The Air - Tonight! SAGAL: So you're Billy Collins, poet, but what do you know about Phil Collins, arguably greater poet? SAGAL: We're going to ask you three questions about the guy who made a lot more money than you writing verses. If you get two right, you'll win our prize for one of our listeners, Carl's voice on their voicemail. Carl, who is poet Billy Collins playing for? KASELL: Billy is playing for Susan Morville of Ann Arbor, Mich.
SAGAL: All right, Billy, you ready to go? COLLINS: OK, and what's the category? SAGAL: The category is Phil - do you know who Phil Collins is? SAGAL: Yeah, the Genesis guy - and solo career of some repute. Here's your first question. Phil Collins made a name for himself as a show business legend long before he rose to the top of the pop charts, as when he appeared in which of these: A. British ads for Ivory Snow detergent, playing the happy, bare-bottomed baby on the box; B, the movie "Chitty Chitty Bang Bang," playing an angry child who storms the castle at the end; or C, The Pink Floyd album cover "Animals," appearing as - or inside the inflatable pig. COLLINS: Whew. Wow. I'm going to throw out No. 1. SAGAL: The Ivory Snow ad? COLLINS: And I'm now - I'm going to have to say B, or No. 2. SAGAL: That would be the movie "Chitty Chitty Bang Bang"? SAGAL: Phil Collins was a child actor, and he says he was cast in the movie and was in the scene when they stormed the castle at the end, but - Baron von Bomburst's castle - but he says he was cut out because he had a bandage on his hand that the director didn't want in the film. COLLINS: I didn't know that much about it, just guessed right. POUNDSTONE: I have learned so much about "Chitty Chitty Bang Bang" on this show over the years. SAGAL: Well, we basically keep returning to it. There's an endless font of information about that movie. All right, Phil Collins - not just a musician; he's a renaissance man. In addition to his musical talents, he is also what: A, a published expert on the Battle of the Alamo; B, a champion competitor in male rhythmic gymnastics; or C, the world's foremost collector of Phil Collins memorabilia. COLLINS: Let's see, I'm going to throw out A again. I think it's B, I think it's gymnastics. SAGAL: You think he's a competitor in male rhythmic gymnastics? I would love to see that, but believe it or not the answer is A.
SAGAL: Yes, he - Collins has collected Alamo memorabilia for years, and he is the author of "The Alamo and Beyond: A Collector's Journey." SAGAL: Or C, the show's producers had no idea who he was, and refused his offer to perform. COLLINS: I'm going to go with A.
SAGAL: You're going to go with A, he insisted he wouldn't start the song until he felt the moment? SAGAL: Because that's the sort of thing that Phil Collins would do? COLLINS: That's my final answer. SAGAL: No, it was in fact C. The producers didn't know who Phil Collins was. The producers sent a note to his agent saying, thank you for your note regarding Phil Cooper; and they ended up having some other person sing it. Carl, how did poet Billy Collins do on our show? KASELL: He needed at least two correct answers to win for Susan Morville. He had just one correct answer. COLLINS: Ode to a loser, a losing poet. SAGAL: Yeah, exactly. 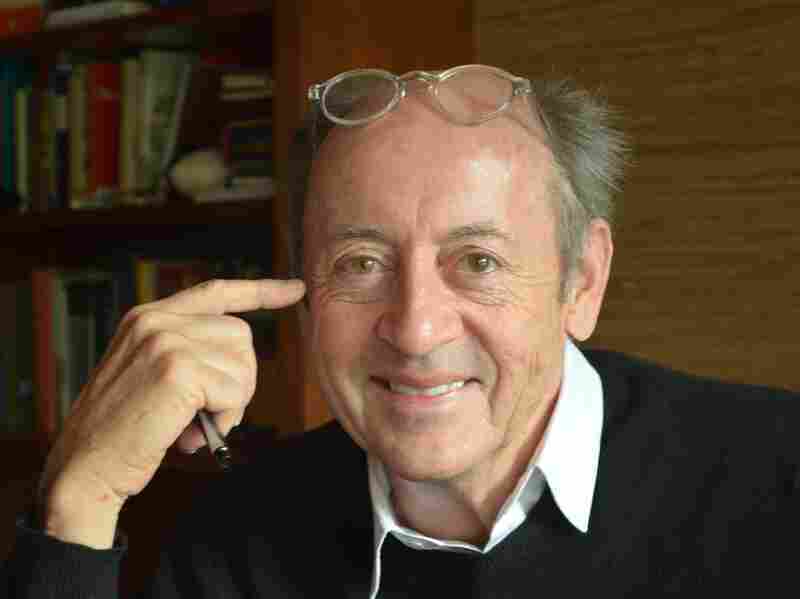 Billy Collins is the former poet laureate of both the United States and the state of New York. His latest book of poems, a collection called "Aimless Love," is out now. Billy Collins, what a pleasure to talk to you. Thank you so much. COLLINS: Great. I had fun, thank you very much.